Can you afford to lose 25%-35% off the value of your house? We're seeking donations of around £100 (but of course we welcome more). If the aircraft superhighway at Gatwick goes ahead, the homes beneath it may lose 25-35% of their value, as those living there are forced to endure the creation of a noise ghetto, where once they lived happily. is simply persuading them to take the few minutes to actually do it. We recognise this, so have taken time to secure a very significant incentive to raise funds for charity. I'm also doing a little bike ride. See below. We hope they help you turn good thoughts into a great deed. I am delighted to advise that due to the remarkable generosity of two previous major donors to GON, if we reach £50,000 for GON through Crowd Funding, they have agreed to donate £20,000 to 3 charities of their choice. And we were recently informed that the govermment will match-fund any donation to Orbis until January. £10,000 to Orbis, who operate the world's only flying eye hospital. Plus £10,000 from the government. I'm only doing it to persuade you to take 2 minutes to enter your payment details. And I'm not young or a super-fit cyclist. 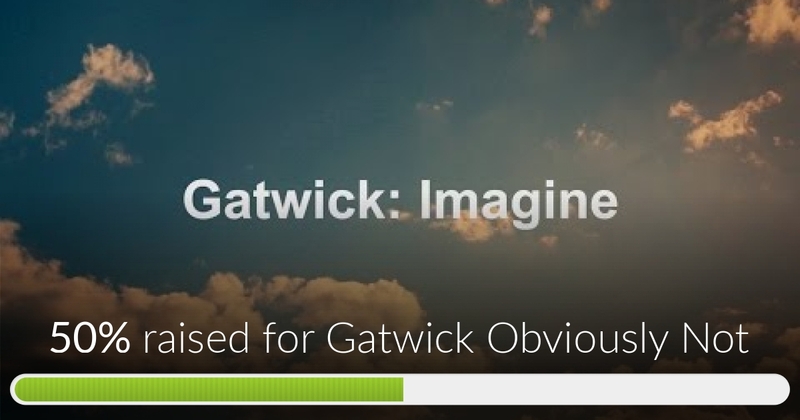 GON (Gatwick Obviously NOT), the action group fighting this aviation disaster needs your help. We need 550 of you to give us £100 to reach our target of £50,000 this year. We are working tirelessly on behalf of everyone affected and now more than ever we need your financial support. The largest proportion of the funds will be used for ongoing legal costs. The rest is to cover the use of airspace designers (as consultants), events, website updates, newsletter design & distribution, and administration. It is an expensive journey we are on but with your help we can protect all our futures. In February this year, we launched a Judicial Review ('JR') against the CAA, raising over £100,000 in a week to do so. 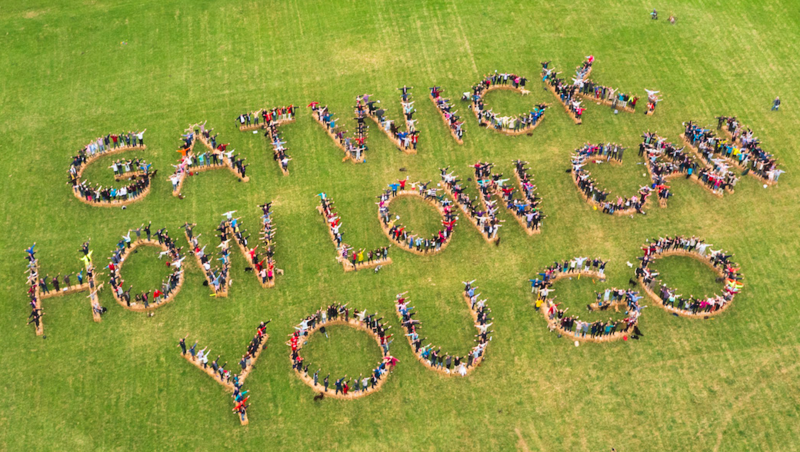 We have played a key role in bringing together campaigners from around Gatwick, Heathrow and City airports to open dialogue with the aviation industry and the DfT. This is now underway. We recently failed to secure Permission to go to a Full Hearing for the JR but GON's Strategic Team of 15 decided to Appeal this decision. It must be clearly understood by all donors that we may fail again in our legal process. However we believe the Judicial Review has brought substantial focus from all parties to the appalling unfairness of the present Air Change process and win or lose, it has been extremely effective in concentrating minds. Gatwick Obviously Not.org ('GON') came into existence in the summer of 2014 to fight the flight path changes that have devastated so many lives under the approach paths to Gatwick in West Kent and East Sussex. We were a very significant force in turning Kent County Council against the 2nd runway and in ensuring an 'unfit for purpose' consultation was deferred. Please do take the time to give what you can. For we have, in every sense. Over £44,000 donated by 279 of you over the last 7 months. Simply amazing, thank you so much. On this project Save Our Skies, every day seems busier than the last, every meeting more critical. To have your wonderful support both in word and deed is absolutely crucial. It gives us both the means and the will to carry on. £34,691 collectively donated by you all. Simply superb. Thank you. With this mileage just now and the total already ridden Project 1,000 miles, Spain to Penshurstis nearly complete. I arrive back there in 1 hour. 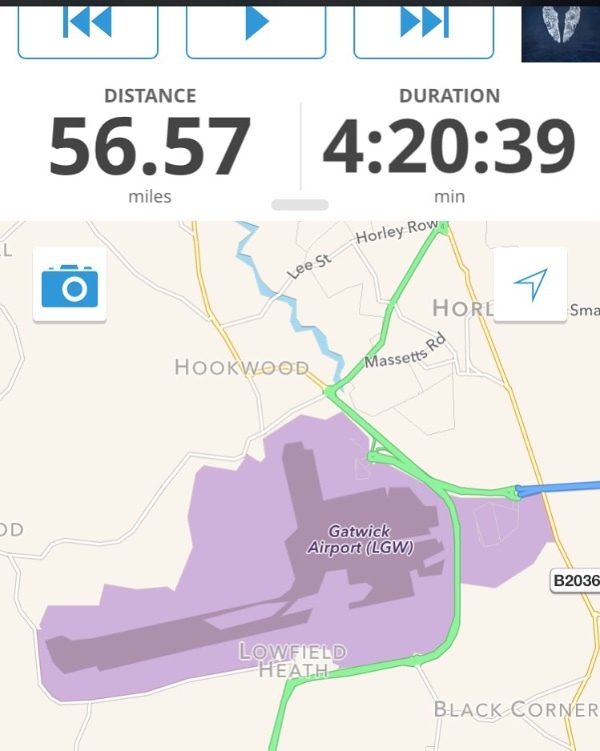 Gatwick Obviously Not has reached over 50% of it's goal. Thanks to so many of you! Welcome to Gatwick Obviously Not! Good to talk last Saturday.